Do you remember the last time when you crawled around your home on your knees and hands? Although it may seem like a peculiar question, to ensure your children’s safety, it is essential to put yourself in their shoes and explore the world from their line of sight. After conducting several surveys, we discovered that more than a third of accidental deaths, for children under the age of 14, occur at homes. As, in most cases, a large amount of time is spent in your living room, ensuring that the room is secure for children is an absolute necessity. Today we are going to help you prevent child injuries, by providing you with a few, simple tips for child-proofing your home. Running into sharp and acute edges has always been one of the most common causes of household injuries. Securing the sharp edges of coffee tables, television stands and other pieces of furniture, with bumpers, is an excellent method to prevent children from injuring themselves. Edge banding and corner cushions are also feasible methods of child-proofing your coffee tables. Avoid placing fragile ornaments in your living room, as knocking them down while playing can, in some cases, be unavoidable. To prevent further injuries, ensure that the glass table tops present in the room, have smooth, round edges. Etching glass objects or table tops, with microscopic cracks, can help strengthen glass allowing them to be placed within the reach of children. Despite our constant efforts to keep them clean, children have always been attracted to mud, dirt and (almost) everything slimy. To reduce the mess made in the house, keep any succulent plant arrangements and small potted plants, out of the reach of younger children. Installing floating shelves or wall mounted shelves, to keep ornaments and flower arrangements. Despite the constant efforts to prevent toddlers from climbing up the staircase, there have been many cases where we’ve been unsuccessful. To prevent the younger children from escaping towards the stairs, install a small gate, which matches the interior of your house. Effortless to install and the large variety of designs available, makes installing a gate a feasible and versatile option. Fireplaces can help add a rustic, yet refined, touch to your living space, and are hence considered to be an essential part of the interior of a house. However, in many cases, fireplaces have not been designed while keeping the younger ones in mind. Hence to ensure the safety of your child, installing a sleek stainless-steel shield or a more refined glass one is your best option. 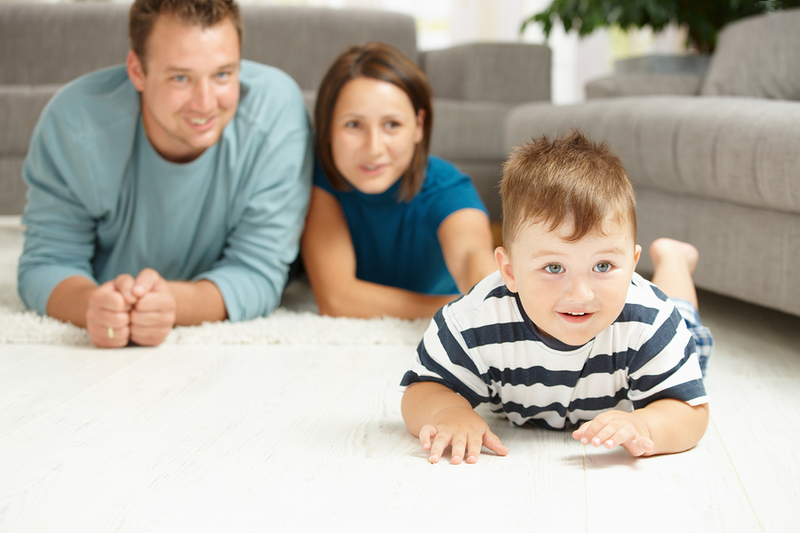 Mounting the television to your wall is perhaps the most convenient way to keep it from the reach of younger children. Wall mounted shelves have been recommended by some of the top interior designers in Pakistan as not only do they suit the interior of modern homes, but they are excellent for keeping DVD players and stacks of CDs. We hope these tips prove to be helpful and successfully allow you to protect your children from any future injuries. For more household tips and recommendations, stay connected to our blog.